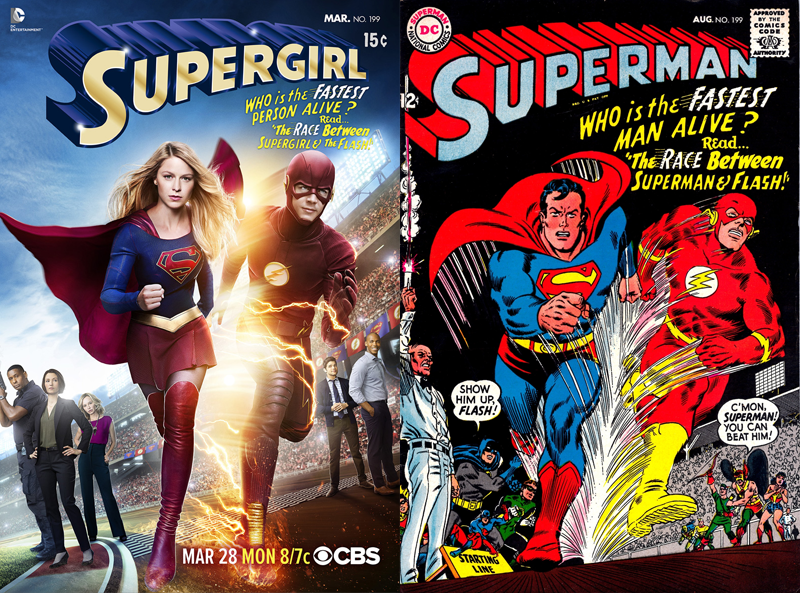 The first official glimpse at the Supergirl Flash Crossover is here, CBS has uncovered some insights about the long awaited episode between the two happiest superheroes on TV, alongside one of those adorable promo pics, that makes reference to comic book covers that fans really love! Kara picks up another partner when the extremely quick superhero The Flash (Grant Gustin) all of a sudden shows up from a alternate universe and offers Kara some assistance with battling Siobhan, otherwise known as Silver Banshee, and Livewire in return for her assistance in figuring out how to return him home. This Supergirl Flash Crossover is not the first time that a native of Kripton has to run against The Flash, in Superman #199 from August 1967, the first race between Superman and Flash amazed the fans. 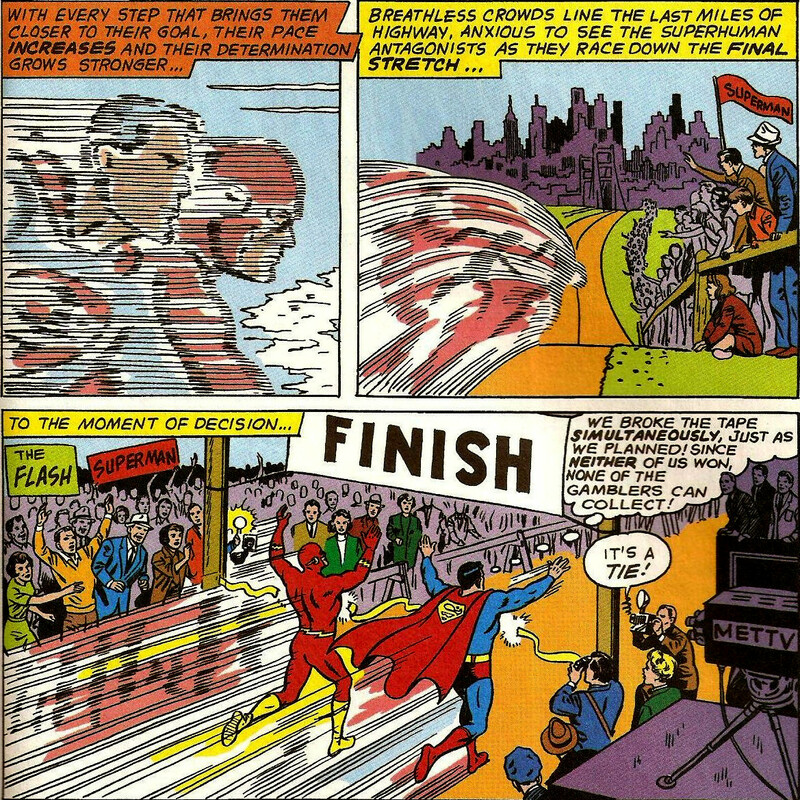 The head to head races between the Silver Age Superman and The Flash began here. The two heroes were asked to race for charity, although both readily agree, crime syndicates bet huge amounts of money on the outcome and took measures to sabotage the one they didn’t wanted to win. 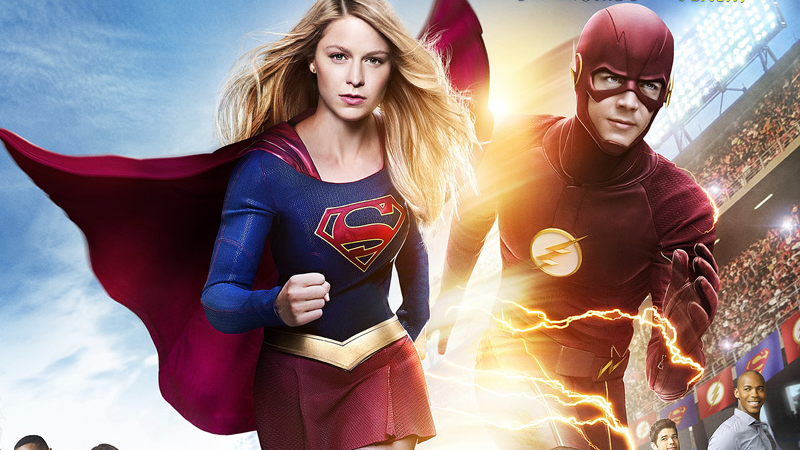 Supergirl Flash Crossover “Worlds Finest” will air on CBS March 28th. Who will be the fastest person alive?